Social media is great for many reasons. It helps people connect, as well as rediscover old connections. And it’s great for marketing too. However, sometimes it shows just how powerful it can be at communication of messages. This is most obvious with regards to charities and causes. These bodies and organisations are often the biggest winners on social, simply because the various platforms allow for real, human connection around a simple and compelling message. The Pride message is one of the most compelling too. So it’s no surprise that it has gained huge momentum on social media, and is uniting millions around the world. 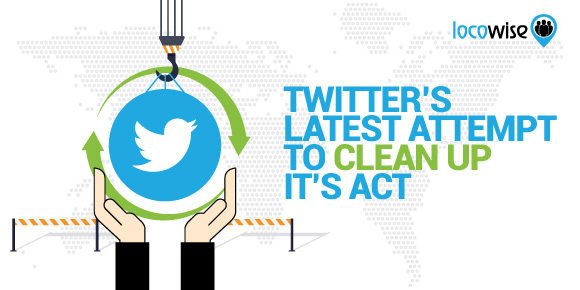 However, it’s clear that social media has been the biggest driver for this particular cause. It’s organised, galvanised and nurtured the movement, so much so that it is the number one place to be for the people involved. Instagram couldn’t be any hotter right now, and it has most certainly helped the Pride message reach more people. Back in June of this year it was the location of a huge push, during the official Pride month. The main identifier of the the Pride movement is the rainbow colour imagery. There’s no need to discuss why the rainbow is so powerful for the message Pride wants to convey, but Instagram went all out with some features in June that really helped to build awareness and engagement. One of the coolest aspects of how Instagram helped with the Pride month was the addition of rainbow hashtags. These were not just colourful, they were incredibly striking, and they immediately registered with people involved with Pride. They also brought a bright and lively feel to Instagram itself. The push was further reinforced with Rainbow stickers and an option to have Rainbow background text. It all made perfect sense to have such an onslaught of rainbow, and it also created a nice launch pad for some more serious work that the platform put in place for the special celebration month. Instagram could, of course, left it at stickers and hashtags and still made a huge impact on how people were made aware of the special month. 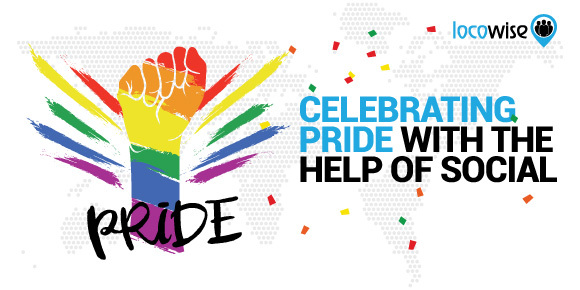 But they raised the game a little more with some engagement work that not only helped to celebrate Pride but also helped people make a human and personal connection with some very special people. Role models are important to everyone, and Instagram arranged for five young leaders in the LGBTQ world to meet with their role models. This alone is probably one of the most exciting projects in this community for a long time, simply because it created a space for up-and-coming LGBTQ community leaders to discuss key aspects of the Pride movement with people who have accomplished a lot in that area. Sasha Velour has made great strides forward in LGBTQ work, including being part of the immensely successful RuPaul’s Drag Race. Sasha’s Instagram has 1.2 million followers,and pairing Sasha up with new face Alok meant that a discussion around the major topics and concerns would enable a large amount of reach and engagement. It was a fantastic way to bring together the accomplished and the accomplishing, and it worked well on social, because Instagram has the power to make a huge impact. Facebook has been around a lot longer than Instagram (in the grand social media scheme of things anyway) so it stands to reason it’s doing this kind of thing well. The difference here is that Facebook isn’t just looking at the short term. It’s effects and other goodies last forever, or until Facebook changes its mind at least. The profile frames and stickers etc. are a permanent fixture, which makes a lot of sense and shows the platform’s commitment to the issues. It’s not all good on social media though. 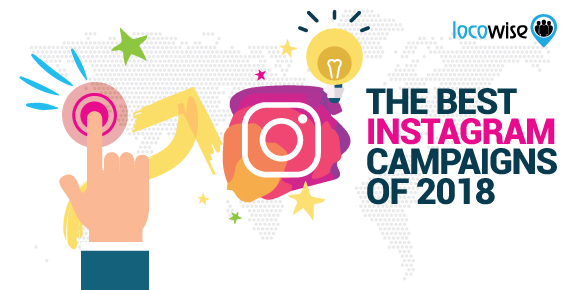 While Instagram’s amazing work this year has made for a huge amount of reach and engagement, and awareness raising, there is still a long way to go. And some of the problems are focused on the actual mechanisms of the platforms themselves. Pride’s website recently covered the issue in depth. It focused on the fact that Twitter recently limited the use of an account because the account used the word ‘queer’ in a tweet. This meant that Twitter was essentially saying that ‘queer’ was a slur, and was offensive. The tweet was not offensive, and had been posted by a member of the LGBTQ community. A fascinating and embarrassing turn of events, it shows how social media still has to work to make sure it is as inclusive as it needs to be. Twitter obviously didn’t limit the account because it was victimising someone, it was simply working on an algorithm that protected people from hateful content. But the way the word ‘queer’ is used by the LGBTQ community (and others) means it has been ‘reclaimed’ to an extent. And that makes it non-hateful and instead the absolute opposite. So while Twitter has not done anything to harm anyone on purpose, it needs to look at the algorithm. It’s a sad reflection upon the state of the online community that it cannot express itself fully because of the actions of some hateful people in the past. The examples from Instagram and Facebook show that social media has a huge place in the LGBTQ commuity, and that it also has massive impact if done right. Rainbows are easy (and always welcome) on hashtags and in backgrounds. But the real value is best exemplified by Instagram’s work with the community leaders. That was solid gold stuff, and shows the potential for social media in the future. Would you like to have the best (we think) social media metrics at your disposal? Don’t worry, we got it covered. Take out a free trial of Locowise for a week. It costs nothing, and changes everything.